Now that we are finally in December I feel as if I can properly get all of my Christmas content out. 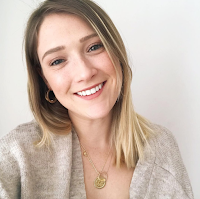 I know most people have probably started, or even finished you lucky ones their Christmas shopping, but for those few who don't believe in mentioning 'the C word' or putting up their Christmas tree until the 1st, I've put together a little beauty gift guide in case you're stuck on gift ideas. One of my favourite gifts are collections and sets from brands. 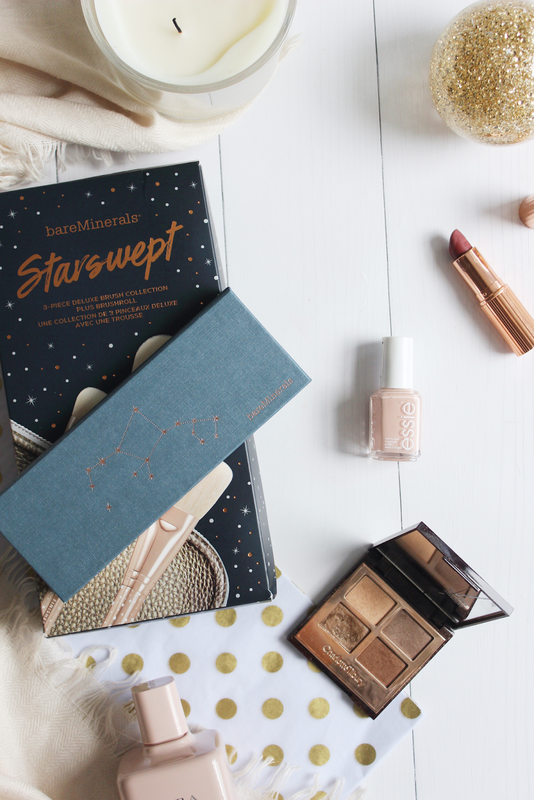 It's such a great way to either get a bargain in the sales, get more for your money and even sometimes get your hands on limited edition products. Makeup brushes are always a fab gift because you don't need to worry about finding the right shades or people's colour preferences, everyone is going to need a makeup brush. 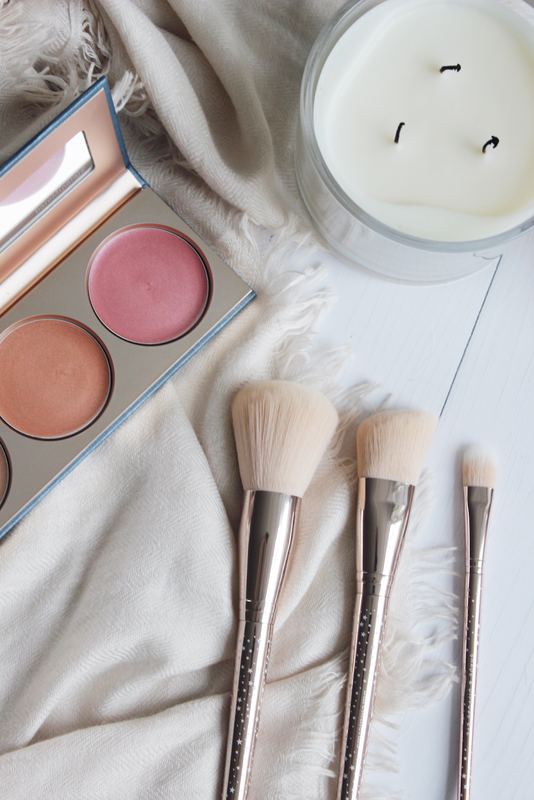 The bareMinerals Starswept 3 Piece Deluxe Brush Collection Kit* is an amazing buy. Inside you get three full sized brushes and a gorgeous brush roll. The collection is actually worth £65 so priced at £39 you're getting a fab deal! The bareMinerals Aries Twilight Radiance Palette* is a gorgeous highlighter trio with three absolutely stunning cream highlighter/blushers. I don't think I can ever fault bareMinerals and their makeup quality. A perfect gift for anyone looking for a bit of sparkle this Christmas whether they are an Aries or not! Nothing says luxury to me like Charlotte Tilbury. 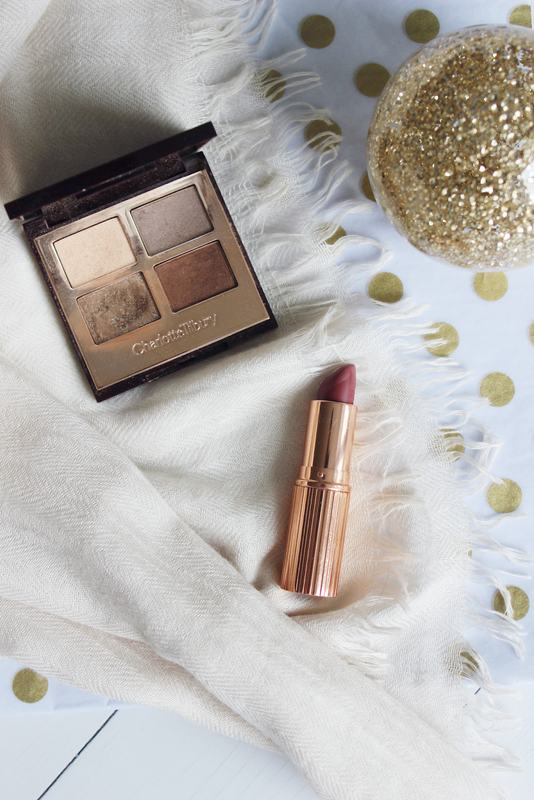 Charlotte Tilbury has such a wide range of palettes, lipsticks and basically all beauty that would suit anyone. Although definitely on the pricier side of gifts, their eyeshadow palettes are perfect to give this Christmas. The Eyeshadow Palette Golden Goddess is perfect for those who are into their neutrals and like an easy so no fuss palette. Someone actually gifted this to me last year and even got my name engraved on the mirror which was such a beautiful extra touch! If they aren't much of an eyeshadow wearer, how about one of their infamous lipsticks. The Matte Revolution Bond Girl Lipstick is a natural berry red matte lipstick, perfect for the festive period. Charlotte Tilbury even does little sets with matching lip liners like this one here. What gift guide wouldn't be complete without nailpolish. Essie polish for me is always a great gift because I don't think you can ever go wrong with it. 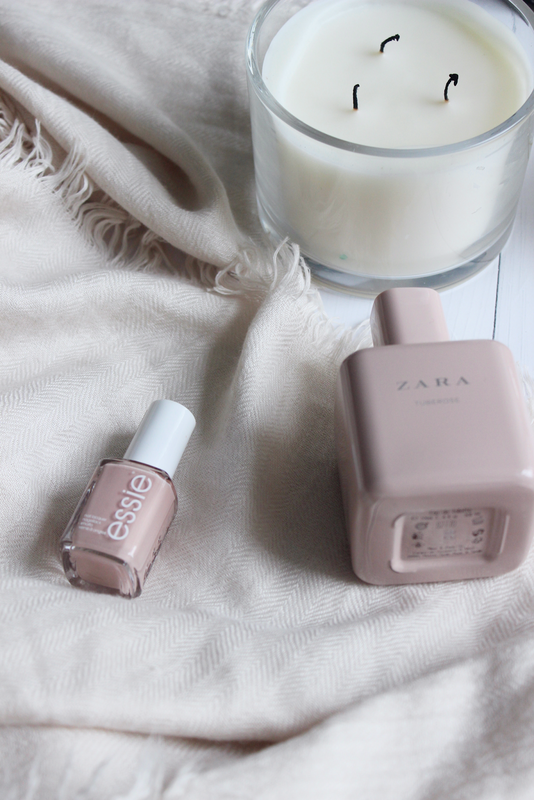 Essie tends to do some great little gift sets where you can get two polishes in one like the essie Nail Polish Naked Nudes Duo Kit* which contains a dup including Master Plan and one of my all time favourite Essie colours 'Spin the Bottle'. Lastly, I don't tend to buy perfume for people as I find it's actually quite a hard gift to get right if they're like me and really picky I essentially wear three perfumes and thats it. Zara do some amazing perfumes and one of my all time faves is the Zara Tuberose. They have such a wide range of scents and they're actually really reasonably priced too. A 100ml spray comes to £9.99 meaning it's a fab secret santa find too and they also do them in a roller ball for £3.99 which is a great stocking filler! Let me know in the comments below how you're Christmas shopping is going! I've still got loads more to do and literally can't believe we've only got 22 days to go! Ooh! Those brushes look so pretty and soft! The star pattern is adorable. And Charlotte Tilbury is always a good idea in my books. Those brushes are stunning, they would make a great gift!